Home Diet Food recent slider SOG She Slices These Bananas In Half And Puts Them In A Frying Pan, But What She Poured Over It? MOUTH WATERING! 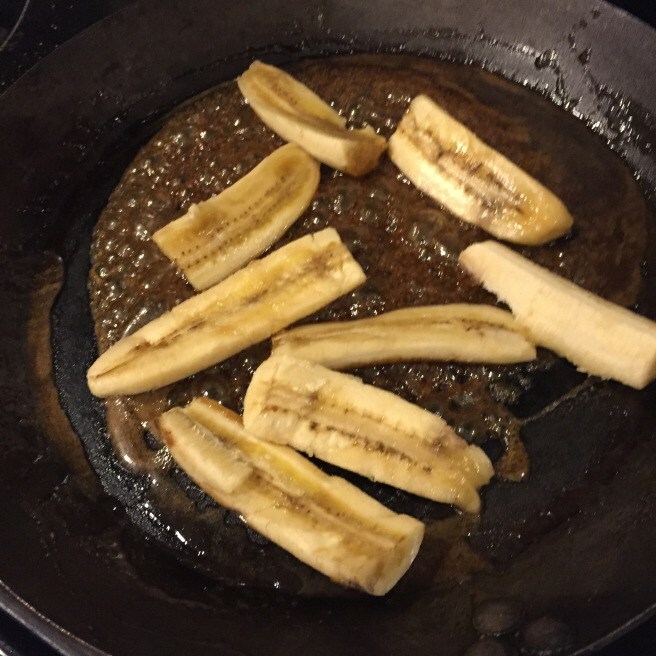 She Slices These Bananas In Half And Puts Them In A Frying Pan, But What She Poured Over It? MOUTH WATERING! Most common desserts are a bit played out in everyday social settings. Everyone knows a birthday means cake, and certain holidays automatically demand various pies. If you’re looking for something a little out of the ordinary to serve your guests at your next dinner party, you might want to consider bananas foster. You’ve probably at least heard of the decadent dish whether or not you’ve actually tried it. Not only is it delicious and simple to make, but it is impressive and awe-inspiring to watch being made. Those of you who enjoy hosting for guests will love this dessert for its high quality and its showmanship. The recipe calls for butter, cinnamon, brown sugar, a dash of nutmeg, and a dash of salt to be melted in a medium sized saucepan over low-medium heat. Once the initial ingredients are well mixed, take three peeled bananas and slice them into bite size pieces. Add these pieces to the pan and let them simmer for a few moments before moving on to the next step. Once the bananas have started to brown very slightly, add about a cup of spiced rum to the pan and put a flame to the mixture. The pan will flame up as the alcohol from the rum burns away, simultaneously flambéing the bananas with the sweet mixture. After the flames have entirely died away, the dessert is ready to be plated. Simply spoon some of the desserts from the pan to your dessert plates and top with ice cream if you desire.